DETROIT -- After overhauling the Ford F-150 pickup, Ford Motor Co. is updating its highest-volume car and crossover this year. The freshened Fusion and Escape will be key to Ford's ability to gain market share in what's expected to be a second consecutive year of record U.S. sales for the industry. Both nameplates topped 300,000 units in 2015, combining to account for nearly a quarter of the Ford brand's total U.S. volume. But despite getting new engines, interiors and technology, both face significant challenges. The Fusion arrives amid slowing demand for sedans, and the Escape has been hampered by production constraints. In 2015, sales of the Escape rose just 280 units, or 0.1 percent, from the previous year. The rest of the red-hot compact crossover segment surged 15 percent, with 10 of the top 15 sellers growing by double digits. "We were limited in how aggressive we could be, given the capacity, but we sold everything we produced," Joe Hinrichs, Ford's president of the Americas, told Automotive News. "We'll lose a little bit of production in the ramp-up of the new one, but I think we'll be in good shape for Escape sales this year." The 2017 Ford Fusion retains the stylish design that made the midsize car a serious contender, but it arrives amid slowing demand for sedans. To build more Escapes, Ford plans to move production of the Lincoln MKC out of the Louisville Assembly Plant, where both are currently assembled, according to its contract with the UAW. But that's not expected to happen until the next generation of those vehicles arrives about three years from now. Ford has already taken a number of steps to squeeze additional capacity out of the Louisville plant, leaving it with seemingly little ability to raise output much more. Meanwhile, Ford is moving from two Fusion plants to just one, consolidating production in Mexico this summer. It's an acknowledgement that demand in the midsize sedan segment isn't strong enough to require overflow capacity in Michigan anymore. The new Lincoln Continental will replace the Fusion at Ford's Flat Rock Assembly Plant, with all 2017 Fusions made in Hermosillo, Mexico. Sales of the Fusion have doubled since its introduction a decade ago, but they slid 2.2 percent in 2015, slightly worse than the segment's overall decline of 2.1 percent. The Fusion faces tougher competition from the redesigned Chevrolet Malibu, as well as hefty incentives on the Japanese nameplates that lead the segment, including discounts of nearly $4,000 on the Nissan Altima and Toyota Camry leases for $179 a month. To combat that, Ford added Platinum and Sport versions of the Fusion for 2017. 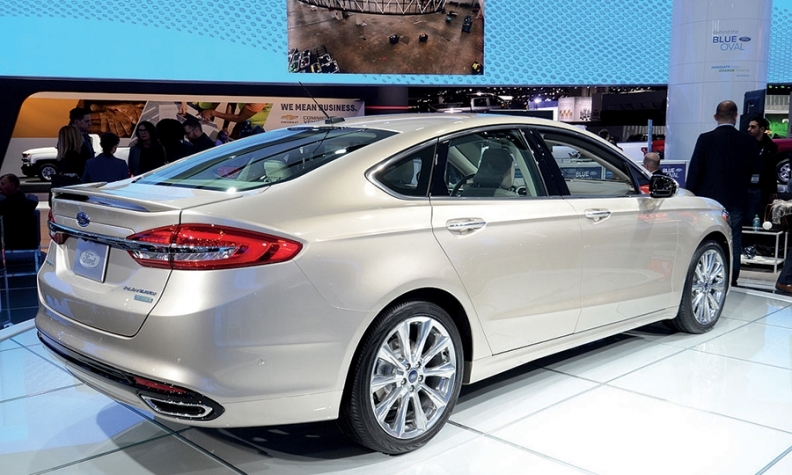 The Fusion Sport has a 325 hp EcoBoost engine that ranks as the most powerful in the segment. 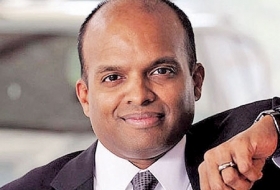 "That's something that Accord and Camry can't touch us on," said Raj Nair, Ford's product development chief. "Conquesting customers is always harder than bringing back a customer, but sooner or later the best vehicle wins." From the outside, the Fusion appears little changed from the current model. It retains the stylish design that turned the car into Detroit's most serious challenger to Japan's sedan dominance in years. But with gasoline selling for less than $2 a gallon in most of the country, many consumers are leaving the segment altogether, making it even tougher for the Fusion to keep narrowing that gap. "They're heavily under attack from compact and midsize SUVs," said Ivan Drury, a senior analyst with Edmunds.com. "I would not expect any vehicle in the midsize segment to see any movement upward compared to 2015."